People ask me what I would do to help stop Hospital acquired infections. It’s been 10 years today since my father died of HAI. Right after he was infected with MRSA, I started researching the causes, the prognosis, the incubation period, prevention, spread and prevalence of these infections. The subject is complex and broad, but these are a few of my ideas about how we can actually make a huge dent in this problem. 1. Get a more accurate count of infections and the deaths caused by them and make it public. Transparency and accountability will lead to better funding and actions to stop this scourge. b. Require that all infections that contribute to a death, be listed as a cause of death (COD) on death certificates in every State. 2. Require Hospitals/LTCs/Dialysis centers/Surgical Centers to post any current outbreaks on their websites and in plain view for incoming patients. a. “Outbreak” must be defined first. Currently ‘outbreak’ means something different according to what infection is being discussed. 3. Rapid screen patients for MRSA and other common infections on emergency admission, or a week in advance of planned admissions. Practice Universal precautions without exception. Postpone elective surgery until the patient has been decolonized. Contact precautions must be followed without exception for all MRSA colonized and infected patients. All other precautions according to the offending infection must be followed to a tee, by all staff and visitors and this must be enforced. 4. Put everyone in their own room, preventing spread of infection from one patient to another in the same room. 5. Clean up Hospitals and the equipment in them. Assign each patient their own frequently used equipment, ie. Blood pressure cuffs, wheelchairs, walkers, etc. 6. Handwashing all around every time, before and after touching, nurses, doctors, xray and lab techs, visitors, and anyone else who touches patients. 7. Help patients to understand their own role in prevention of infections, examples are handwashing, general hygiene, covering wounds, good nutrition/hydration, covering coughs, not wearing slippers that have been on dirty floors into their bed. 8. Give the Federal and State CDCs regulatory powers. This way, instead of writing recommendations, they can write requirements. Every hospital that is held accountable for infections that they caused, will say “we met the CDC recommendations” and/or “We met the standards of care”. And they may have met some of them, but certainly not all of them because they don’t’ have to…none of the recommendations are mandated. Also, the CDC would not have to wait until crisis to go into places with known problems. An invitation would not be needed. Places with known infection outbreaks and/or ongoing infection issues could be visited and problems remedied without waiting for permission to enter. Not a single patient should become infected because the CDC is waiting for an invitation to help the facility. 9. Stop paying Hospitals and other Healthcare facilities for the costs of these infections. Nobody should have to pay ONE PENNY for an infection they caught while in a facility. Penalties are not enough. Stop payment from any source patients, insurances or the Federal Government. This is my short list of ideas. They were gleaned from all sorts of experts and meetings on the subject of infections. If these things had been in play when my father was hospitalized for rehab for a simple ankle fracture, I sincerely believe his infection would have been prevented. Two other community members had already died of hospital acquired MRSA infection the same month he was admitted. No outbreak was declared and nothing was ever reported on a State level about that. No extra precautions or steps were taken to stop the hospital MRSA outbreak. There was no consistency with handwashing, gloving or precautions even after his infection was diagnosed. With some hard work and dedication to patients, we can stop this from happening to others. Categories: Uncategorized	Tags: CDC, HAI, HAIs, hospital acquired infections, hospital acquired mrsa, Kathy Day, Maine cdc, mrsa active detection Isolation, mrsa death, mrsa handwashing, PATIENT SAFETY. Do you know what an SIR is? I am both a retired RN and a healthcare consumer. I have attended dozens of meetings about Hospital and Healthcare associated infections, or HAIs. I do this because I think it is essential that healthcare consumers (simpler term is PATIENTS) should have a voice in the decisions surrounding HAI prevention, transparency, reports and policy, and over the past decade, the State and Federal governments came around to believing the same thing. I am an official member of the State of Maine CDC HAI collaborative and I represent consumers. A few days ago there was a member of the public in our meeting I tried to listen to the conversation through her ears. This is what happened. Right off the bat, acronyms were used that she, and possibly others in the group do not understand. Beyond that, some of those acronyms are used in public reports. It isn’t intentional when professional infection prevention professionals speak in complicated lingo, it is their everyday language. But, when consumers are part of the conversation, the very least that could be offered is a printed glossary of terms for newcomers, and for some of the people around the table who do not do this work every day, like me and a few others. I know for a fact that other regular members of our collaborative don’t understand all of those acronyms or terms that are tossed about during our meetings. . So, what exactly is an SIR? It is an acronym for “Standard Infection Ratio“. It is a way that the CDC, both State and national, reports infection rates. The SIR is a risk adjusted number that is reported that includes the number of expected infections, by facility or by State, or Nationally. For example, if a big trauma center that accepts the most complicated patients has a higher number of “expected” infections, that is somehow formulated into their SIR. There is also a risk adjustment for teaching hospitals. WHAT???!!!! The actual number of infections is not reported when using an SIR. The mean is the number 1, and anything under 1 like .48 is on the better side of 1 and anything above 1 , like 1.4, is on the worse side. Under 1 means fewer infections, and over 1 means more infections. Contrary to most reports, a higher score does not mean a better score. So, is that now as clear as mud? After all my years of these meetings, I’m still not 100% sure this explanation is totally accurate, but it is close enough. So, what does having an SIR in an infection report mean?. Well, one thing that it means is that Hospitals (or entire States) can actually HAVE an expected number of infections and that is figured into their SIR report. That is how the final reported SIR numbers are risk adjusted. REALLY?? It seems to me that expected number of infections should always be ZERO….always. Zero expected infections is exactly what I and I assume all patients expect from any Hospital, so why can they have anything above that as an expectation, no matter what or who their patient population is. I know this will stir up some discussion and anger from the larger hospitals that claim they care for all the most complex patients, but they also have the resources, the staff (we hope! ), and the experts that smaller facilities do not. And, it is their job although challenging, to keep all of their patients infection free. Nobody ever said elimination of infections would be easy. This incomprehensible methodology is routinely used to create public reports on infections. Then the experts who create these muddy reports have the nerve to say that patients do not understand infection reports. Of course they don’t. A lot of doctors and nurses don’t understand them either. They don’t know what an SIR is. Creating a report that even some professionals don’t understand is a disservice to patients and consumers. How about this approach for a change? Report actual numbers, not SIRs. For example, report the number of hysterectomies the hospital performs every year, and the number of those patients who get a surgical site infection (SSI) as a result. Hospital A does 1500 hysterectomies (all varieties) every year, and 3 patients get an SSI. Or, Hospital B performs 50 such surgeries and 3 patients get an SSI. Even with my limited mathematical skills, I can figure out which hospital generally gets the best results regarding infections. This type of report is useful in two ways. It gives the volume of procedures done, and it also gives the number of infections that occur, both very important pieces of information for patients. As a patient, I don’t particularly appreciate or understand “risk adjustments” that help hospitals have a better infection report, I just want to know exactly what my personal risk is with a particular facility, doctor or surgeon. If Hospitals and entire States are going to publicly report infections, as they absolutely should, make the report useful to everyone, not just to infection prevention professionals and other savvy experts, who actually understand these wonky reports. Consumers will use that public information to make choices that could very well affect their lives and pocketbooks. Preventable infections cause horrible suffering and sometimes death, and they can tack on a huge amount to an already high hospital bill. We want clear, accurate and easy to understand information about infections. Creating a public report that only infection professionals can decipher is not really a public service. It only serves the experts who can understand it. This has been my brief but spectacular explanation of and opinion about the SIR! 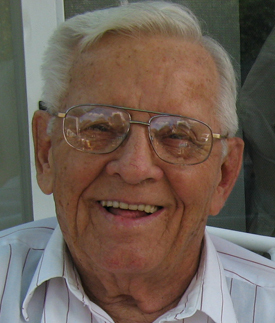 The day after my 83 year old father was readmitted to the Hospital, where he had contracted MRSA pneumonia, he slipped into Sepsis. He was extremely weak and feverish on admission, and they had put him through a lot of testing and diagnostics. My mother and I went into his room after lunch and I immediately saw a change in him. His skin was ashen, and he was hard to arouse. His nurse, a freshly minted RN, was typing on the computer on wheels right next to his bed. I asked her to check his vital signs. She said, “oh, he is just exhausted because of all the testing”. This was a reasonable excuse for his exhaustion, but I knew something was off. I reiterated that his color had changed and he wasn’t responding to us appropriately. Dad’s nurse checked his blood pressure and it was dropping very rapidly. He was going into septic shock, part of sepsis. She called for the crisis team and they brought the code cart with them. 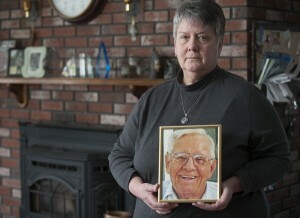 While my mother and I watched, they injected life saving drugs and slowly brought Dad back. He was transferred into ICU and kept there for several days. Mum and I called the priest. That was the most frightening day of my father’s illness. Neither he nor our family were ready for him to go, and so he fought valiantly to stay alive. His infection sapped his strength and he had become bedbound, but he lived for a few more months. Rapid response of the hospital team brought him back from the brink of death. Septic shock is a very dangerous medical condition. Dad’s sepsis symptoms were very subtle, and without my intimate knowledge of my father, and my ability to assess his status as a nurse, his sepsis might not have been caught as early as it was. 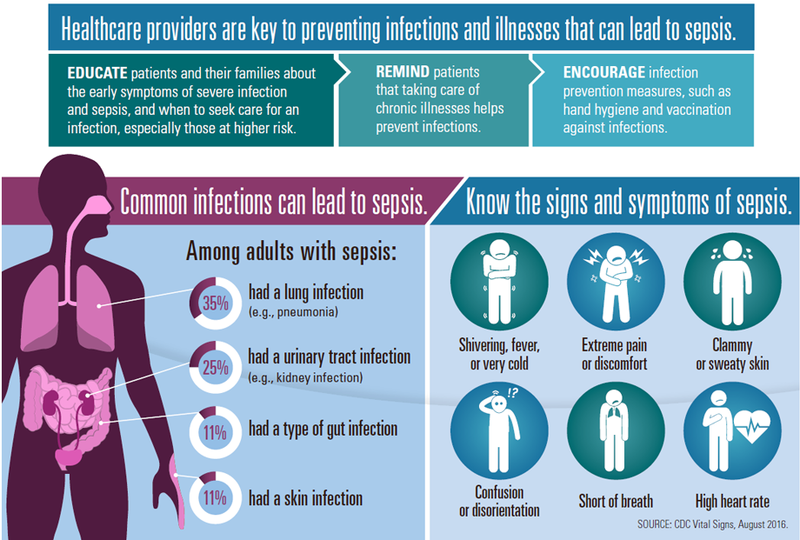 This week, the CDC has raised the alert about Sepsis and how important it is for everybody, not just medical people, to know the symptoms. Everyone should learn the signs of sepsis and be able to detect it in themselves or a loved on. Sepsis progresses rapidly and it can affect major organs and/or cause death. Rapid response to Sepsis is the only way to stop it. It is indeed a race against time. What’s different now? How are we doing? Have we made progress in Patient Safety? Its hard to tell. I don’t have sophisticated ways to measure the results of my work. There is a difference though. I am received differently than I was 7 years ago. It will actually be 8 years ago this fall that Dad became infected with MRSA while rehabilitating in his small community hospital. When I busted onto the scene in 2009 in Augusta Maine to fight for MRSA screening and isolation of patients who are being admitted to Maine Hospitals, I had to get my feet under me. I didn’t know how politickin’ was done. I didn’t “know” people. I was an obscure grandmother, wife, mother, daughter. I hadn’t worked in nursing for quite a while. What I did know is that what happened to my father should never, ever happen to anyone. With that knowledge, and powerful passion fueled by grief, I forged my way. There was sympathy, and understanding, but there was inconceivable push back. The greatest push back came from the Maine Hospital Association, their members and even some healthcare professional groups! That was astounding to me. I thought we would all be on the same side…the side of the patients. We all want safe care, don’t we? Well they want it, but they don’t want it to COST anything. Cheap or free MRSA prevention would be good for them. They also wanted it without looking bad for causing infections. This means that my work could go on if I didn’t tarnish the polished image of hospitals. REALLY? The push back did not deter me. I forged ahead and I still do. I just got back from the CDC in Atlanta, GA. This was my third trip. My first trip in 2010 blew me away. I was a bit intimidated, because the CDC wrote the bible of infection prevention and that was part of my job as an employee health nurse. In fact, I was pretty nervous when I called there for expert advice, as a working nurse. To be a guest there, as part of a larger group of healthcare consumers/patients was a little overwhelming. I spoke out, but not with a lot of conviction or confidence. The second time was better. THIS time…watch out! I had no qualms about speaking up, and often. I BELONG there. My colleagues, each and every one of them affected by healthcare harm related to infections, or medications, were all equally confident, informed and eloquent in their comments, questions and ideas. The CDC staff that organized our meeting knew exactly what they were doing. We met on the premise that this would be a discussion. None of us were rushed through our introductions or our stories. We each had equal opportunities to offer questions, solutions, and ideas. Top leadership, including Dr Thomas Frieden, Director of the CDC, introduced themselves, and briefly talked about their work and programs, and then we talked. We had a real exchange. Fresh new ideas around Sepsis, HAI prevention and treatment, Multi drug resistant organisms, Antibiotic use and stewardship, Death Records reform and so many more very important issues in Patient Safety were covered. I learned so much, but I also brought the nursing perspective. Programs, mandates, policies and recommendations are essential, but without proper bedside staffing levels in all healthcare settings, they will not work. We will not get to ZERO infections without adequate nurse staffing. There were no commitments made during our meeting, and I do understand that it is not that simple. But, tons of notes were taken during our conversations. We also populated large idea boards on the wall. I look forward to the compilation of all of this material. Before the meetings, 4 other amazing colleagues were photographed and videotaped for the CDCs blog and other use. While we waited our turns, a random CDC employee came by asking what we were doing there. When we told him he said “oh ya, I had a surgical infection and sepsis too!” then he shared his story. This happens everywhere we are. Everybody has a tragic infection story about themselves, a loved one or a good friend. We want those stories to go away…we don’t want everyone to have an infection story. I am grateful for the opportunity to visit the CDC and I look forward to working with them more in the future. 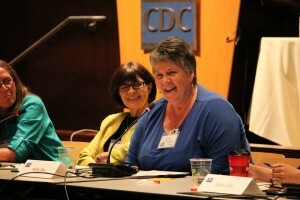 I was recently invited to attend the first ever Conversation between the CDC and the Consumers Union. I have affiliated myself with the CU and other powerful selfless MRSA prevention advocates during the past few years. There isn’t much that these activists don’t know about the fight for better MRSA Prevention. Under our new administration, and the leadership of Secretary Kathleen Sebelius, the CDC is becoming more consumer friendly. The conversation we had two days ago was held between us (activists with the CU) and many high officials at the CDC who specialize in HAI prevention including MRSA prevention. I was humbled by their expertise, but at the same time I was not intimidated by it. 20 years ago, I would never have expected that I …….an employee health nurse in my local medical center, who used the CDC recommendations as my bible and the Federal Registar as my mandates, would ever be sitting where I was, expressing my frustrations at the snail’s pace of enacting ADI for all US hospitals. Active detection and Isolation has most recently been proven effective in our over 150 VA hospitals nationwide. The Study was revealed at the HICPAC meeting, which I unfortunately missed most of. The Study revealed incredible reductions of hospital acquired MRSA after using ADI in a 2 year study. The study was a collaborative between the CDC and the VA. Over 200 other studies prove that ADI works to stop MRSA. All of us were asked at the end of an enlightening and exciting meeting what our feelings were about the meeting. I told them about calling the CDC once in 1992 when I was an Employee Health Nurse at Eastern Maine Medical Center. My project during that period of time in the early 90s was to do 2 stage TB tests on every EMMC employee. It amounted to between 4000 and 5000 PPD or TB tests. There was some discussion and disagreement on what exactly a positive TB test looked and felt like, so I called the CDC experts. I remembered how daunting and intimidating that call was for me. Never in my wildest dreams did I expect to be sitting in a conference room, having a “conversation” with top ranking CDC physicians and others, and confidently and repeatedly expressing my personal and profession opinion on MRSA control. The experience was humbling and I was honored to be part of this meeting. And, I was very grateful to be included by the CU. I hope to return to the CDC. I have all of my newly found passion, my research and my heartfelt sympathy and sorrow for victims and survivors of victims of MRSA. I am not a top scientist at the CDC, but I am an expert on the human suffering that comes with deadly MRSA. I watched what it did to my father and I have listened to the numerous stories of others or their loved ones. This is an epidemic that must be stopped. It is not going away, unless we take a strong stand and push it away. It was wonderful to hear the CDC officials saying that ELIMINATION is their goal. There is also fear amongst nurses and other health care workers that if they are ever diagnosed as being MRSA colonized, they will lose their jobs. This is not right or fair and needs to be addressed. No nurse should accept the constant inadequacies of their hospitals resulting in unprotected exposures to MRSA. Without ADI, delayed detection of colonization and infection will continue, exposures will be commonplace and outbreaks will not stop. My sincerest thanks to the CDC for opening up this conversation, and I hope to return there soon. There is so much more to add to our new “Conversation”. Today, I will volunteer at the flu shot clinic for children here in Bangor Maine. There has been some difficulty getting the vaccine in Maine, but last week a supply arrived. It was decided to do a big central clinic at our Civic Center to serve all of our community schools and many from outlying communities. This clinic will be huge. I did this same thing in 1976 when Swine flu was a threat. I volunteered at a two clinics then. The flu didn’t spread as quickly or as far and wide in 1976 as it has this year. I know the necessity of preventing as much of H1N1 and regular flu as we can. Both can be deadly, particularly if someone becomes coinfected with a bacterial pneumonia, such as MRSA. The vaccinations are very important in the prevention process and I will help in that process. But I do have swine flu envy. Let me explain. The phenominal response from the CDC for the swine flu outbreak is admirable. Many millions of dollars have been spent on prevention, education, vaccinations, testing, documentation, research, prepartation for flu disaster, etc. It has been in the works for years. Where is the same attention for MRSA? MRSA is killing approximately 20,000 victims each year and has been for years. Hospital acquired infections kill over 100,000 patients yearly as well. It has become “accepted” as part of doing business in hospitals. Talk of a vaccination exists, but it will be years before one is ready. These infections are happening every day, all year long in virtually all of our nations hospitals. A small fraction of the expense to prevent flu could stop or greatly reduce MRSA. If the CDC would recognize the process of Active Detection and Isolation, the widely used prevention process for all outbreaks and epidemics, we could succeed. ADI is THE proven preventative process for MRSA. It has been proven in all of our VA hospitals, and many other hospitals nation and world wide. Yet, CDC snubs ADI for MRSA prevention. Their approach to MRSA prevention is to throw it in with all other MDROs and stop all infections. This is an admirable goal but it is not attainable. In taking this approach, the needed steps to prevent MRSA have been watered down in the CDC recommendations. MRSA is the most significant and wide spread Multi Drug Resistant organism. It is also growing by leaps and bounds in the community. About 30% of the general public is colonized with Staph and many of them are colonized with the more deadly and dangerous MRSA..a Staph infection that is resistant to many mainstream antibiotics. The death rate for MRSA infections is alarming. Many tens of thousands more become disabled and lose their quality of life because of the infections. The CDC needs to stop politicizing MRSA prevention and get down to the work of preventing it. Until there is a vaccination to prevent MRSA, the process of ADI, along with military like enforcement of handwashing and education is what will drop our MRSA rates. It is time to end the epidemic of MRSA in our hospitals and our communities. Amazingly, approximately 60 nurses, many other health care workers, and volunteers gave almost 8000 doses of Flu and H1N1 flu immunization to school age children at our Civic Center flu clinic in Bangor, Maine yesterday. Over and over I am amazed at the flexibility and generosity of nurses. Many of the ones there giving shots were volunteering their own time. They were professional, caring and they treated each child gently and with dignity and respect. Every nurse there knew the importance of keeping our children well and that is why they came. Some of them were on the clock, but most volunteered. This is an example of how nurses ( and in this case many other volunteers) will come forward for the health of their patients and communities, and give it all they have. I am proud to be called a nurse and to know so many wonderful colleagues. CDC response to March 2010 article regarding public reporting of infections. Consumers Union expects healthcare reform will save billions of dollars. Guest Columnest to the Bangor Daily News, Rosemary Gibson. Newest study, reveals high number of deaths from Sepsis and Pneumonia caused by multi drug resistant organisms.